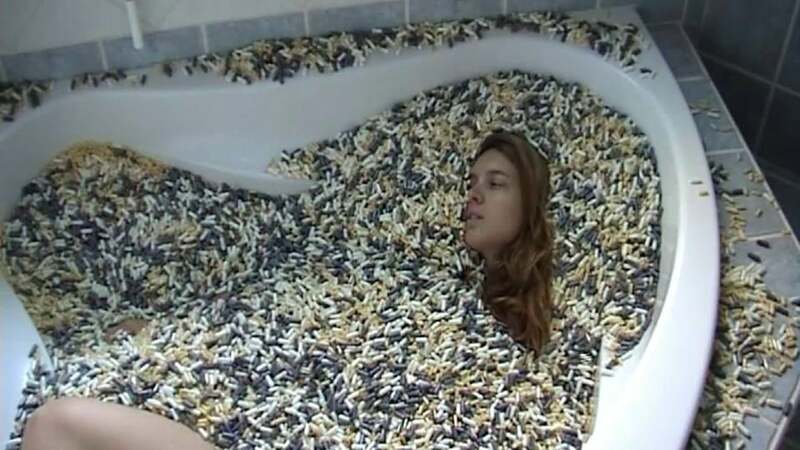 A young lady, apparently suffering, is taking a bath of capsules. She moves slowly the head, tries to get up, falls again. This film investigates the problem of excessive drug consumption in western countries, their omnipresence in the daily life and these multiple uses. The chosen kind of bathtub makes reference to the luxurious bathrooms, the sets of Hollywood tragedies bound to pain, suicide, medicines, alcohol. This film also expresses the loneliness of our nomads’ generations where legal or illegal drug becomes a privileged travel companion.